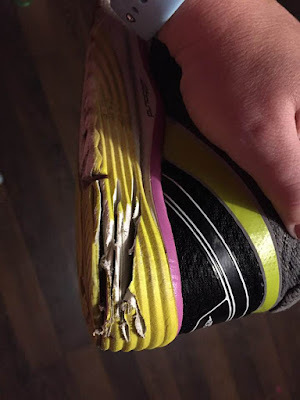 Saturday, I went downstairs to my workout area to go for my run and I was putting on my Altra running shoes when I noticed that the heel on one of them was so cracked and starting to shred. 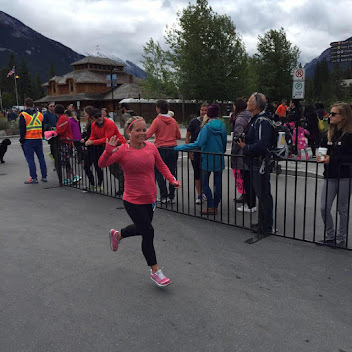 The weird thing was that I didn't notice when I ran on Tuesday so it either happened during that run or during the few days where I didn't run at all. Every pair of Altras that I own have done this except for my Lonepeaks (knock on wood) but none were as fast or as bad as this pair. For the record I own 6 or 7 pairs of Altras because I love these shoes so much. I started wearing these shoes on March 25th and have between 6 + 700 km on them which would mean time for retirement but the Altra rep told me I could get about 1000km on mine since I am so small. I have never gotten this many km on any shoes I own but the problem with these was that I wasn't feeling like they were wearing out and they weren't causing me any pain so I thought I would be good for a little while longer. And, we all know that my heels rarely ever touch the ground when I run haha so you would expect the damage to be on the front of my shoes and not my heels. This is the damage on these altras. The other shoe had no damage anywhere. Some of my altras have it on both heels and some just on one. It is a frustrating problem to have. 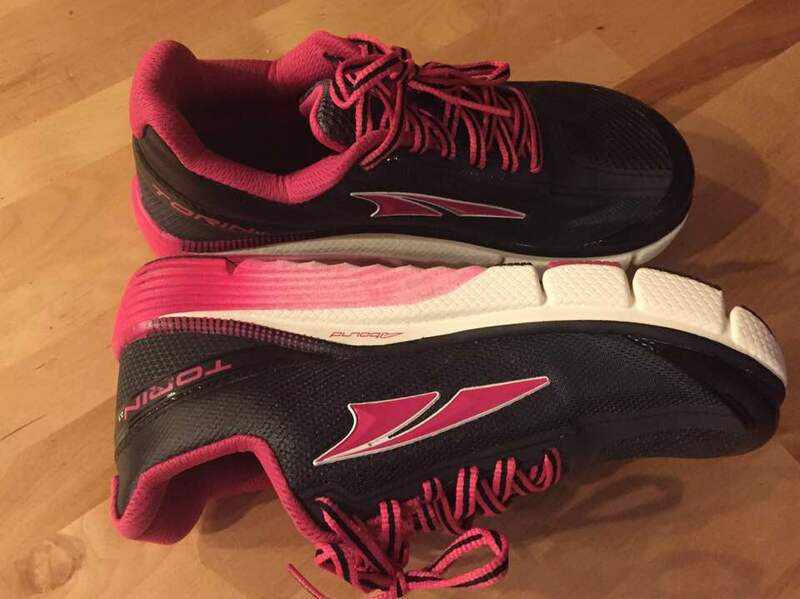 One pair did it super quick but Altra wouldn't help me out because I bought them from Amazon and not them or one of their retailers here in Canada. And while Amazon Canada was easy to deal with, these were purchased from American Amazon and I gave up trying to deal with them. I have come to realize that they are not the greatest company to deal with in any form. Luckily for me, Greg had found these Torin's back in August for me at a good price and they had been sitting in our closet, just waiting to be loved by me and now they have that opportunity to do so. I actually had forgotten what they looked like since I hadn't looked at them in about 3 months and was especially happy when I opened up the box and saw how beautiful they were. These are a newer model then what I had previously but still not the newest model available. Because of my insistence to buy these shoes on sale or clearance, I am usually a model or two behind depending on how good a deal I get and how many pairs I buy haha. These feel much more stiff and tight then my previous pair but that could be because they are new haha. 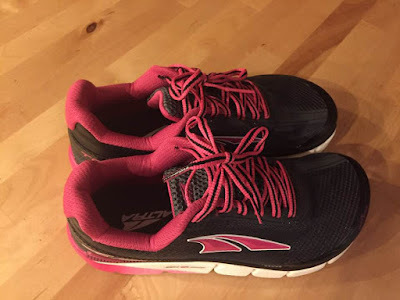 Most importantly, they feel really good when I run in them as I just tested them out this morning on my treadmill and I don't feel like my feet will be blistering at all, not they really have previously. Despite their less then great customer service or social media interaction and the wear in my heel, these shoes are super amazing. I recommend them to anybody looking for new shoes. They are a neutral shoe and are zero drop shoe which is a must for me when running. They used to be really hard to find here in Calgary but more and more stores are popping up with them! Even if you end up paying full price because you are not cheap like me, you will still be satisfied with the product. Time to start looking for my next pair.....hopefully at a great price!